Looking for an alternative to Runscope? 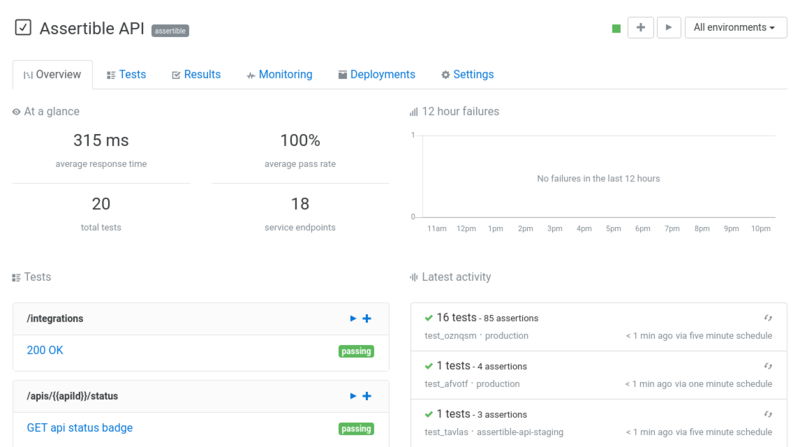 Assertible's service oriented dashboard is made for maximum productivity so you can quickly view the health of your API, tests, and results, all in one view, and focus on what's important. 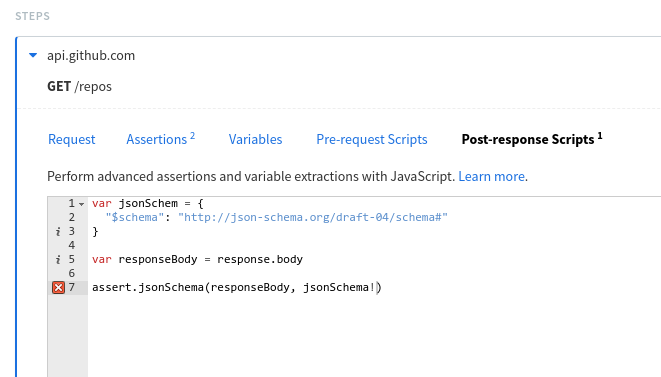 Unlike other services, you don't need to write any code to validate your APIs with Assertible. 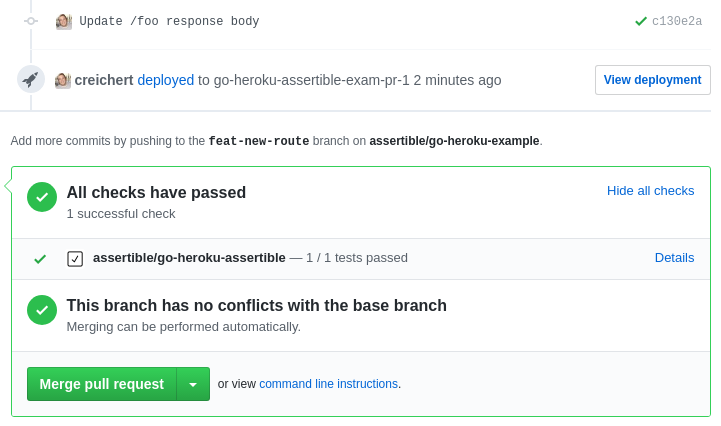 Our built-in assertions help you get your job done faster and make test maintenance a breeze. 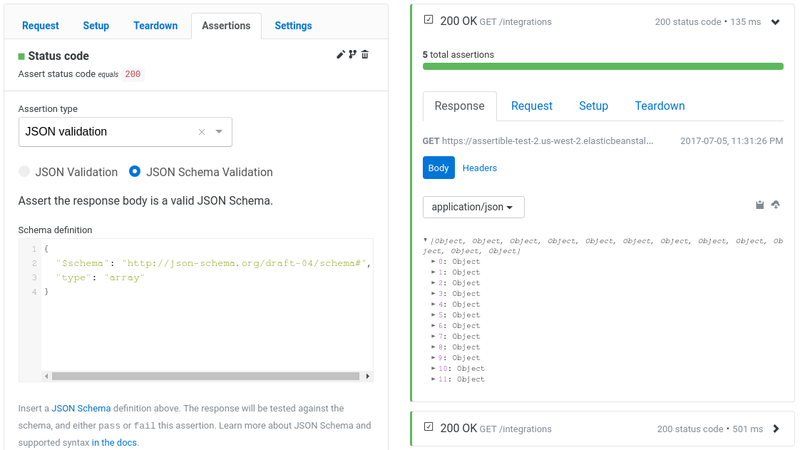 We want to make testers and developers more productive by providing a vast and flexible suite of assertions to help you test your REST API, website, or any other HTTP service, with zero code. Looking for more reasons to use Assertible? Check out this comparison of Assertible and Runscope. Assertible's primary focus is reliability. We've spent a lot of effort architecting our test execution model to promote API testing best practices used at companies like Google. Runscope has a free-form test execution structure that, while flexible, can result in flaky tests and difficult debugging due to complex steps and embedded logic. 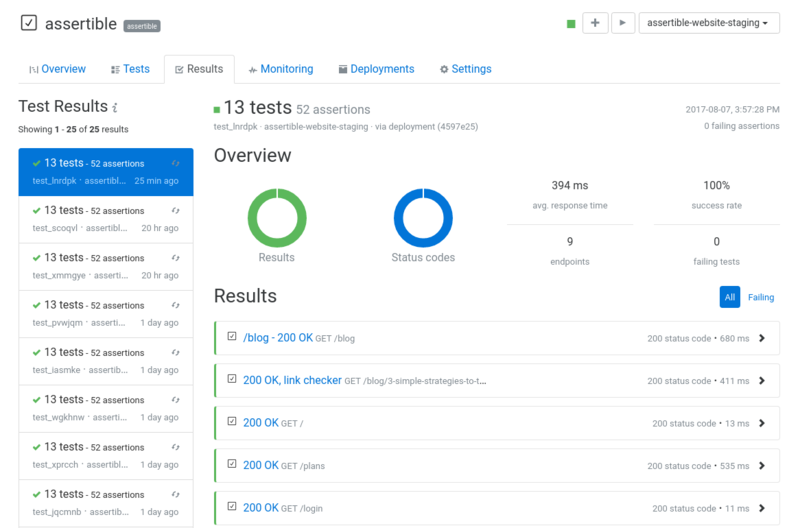 Test automation is the future, and Assertible is making it available to developers and testers everywhere. Runscope prevents free users from taking advantage of automation like schedules and triggers which can make it difficult to evaluate your use-case, especially if you you in the process of building out your tests.